lt;stronggt;DPR10245lt;/stronggt;lt;BR/gt;Purex Super Odor Neutralizerlt;BR/gt;Advanced formula provides a thorough clean to clothes. Features Renuzit Super Odor Neutralizer to leave clothes smelling extra fresh. Whitens whites and brightens colors. Works in all temperatures. Phosphate-free. Conveniently packaged for single-use vending opportunities. Application: Laundry Applicable Material: Fabric.lt;BR/gt;lt;BR/gt;lt;stronggt;DRA2979267lt;/stronggt;lt;BR/gt;Purex Super Odor Neutralizerlt;BR/gt;Detergent utilizes stainlifters to safely lift dirt and stains from clothes and fabrics. Versatile solution is effective in all temperatures. The convenient two ounce packets are designed for use in Laundromat and other commercial vending machines. Application: Laundry Soap Applicable Material: Fabric. 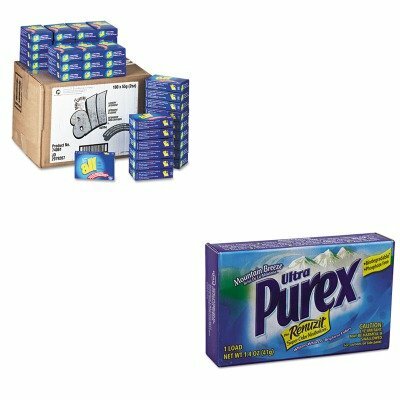 If you have any questions about this product by Purex, contact us by completing and submitting the form below. If you are looking for a specif part number, please include it with your message.